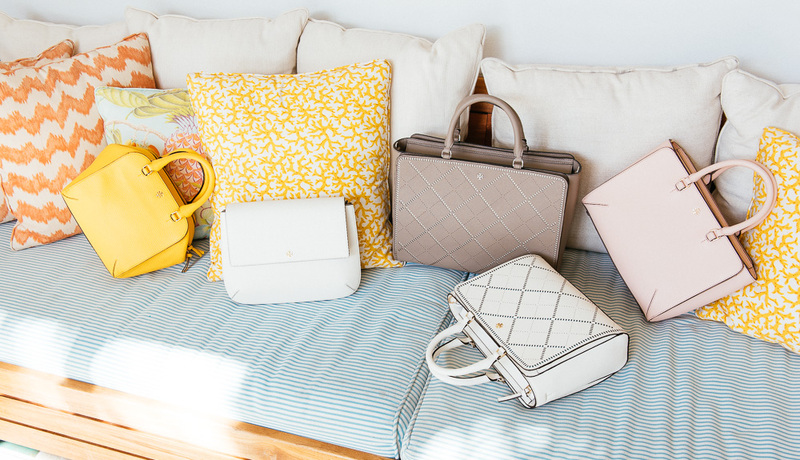 One of the hottest handbag trends right now is studded detailing. 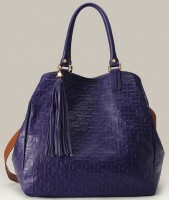 I know that this is nothing new to the fashion world, rather it is a trend that tends to go in and out of style often. The studs we are seeing as of late are a bit different, more refined and subdued, and often being used as shoulder strap accents. 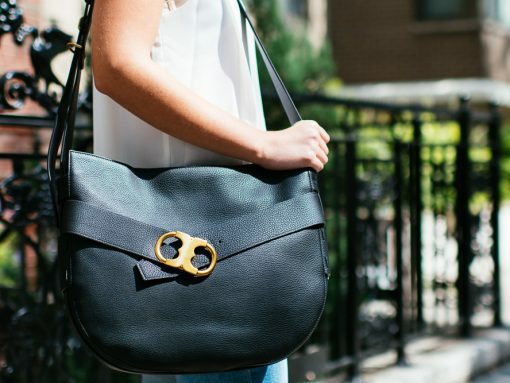 This is precisely the look for less I am bringing to you today: the accented shoulder strap bag. 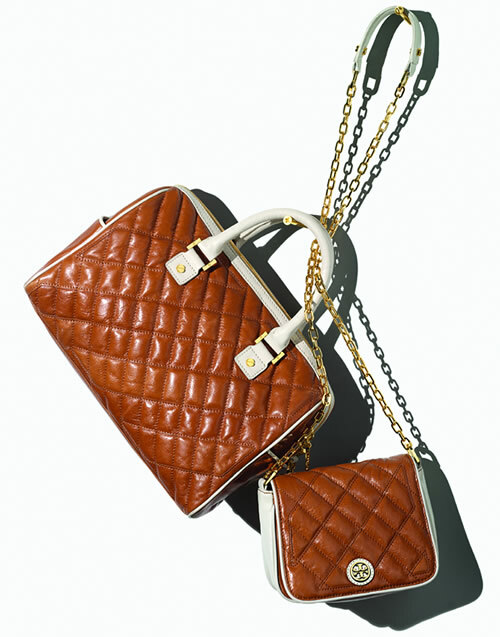 Pigskin Made Chic By Tory Burch. Who Else? 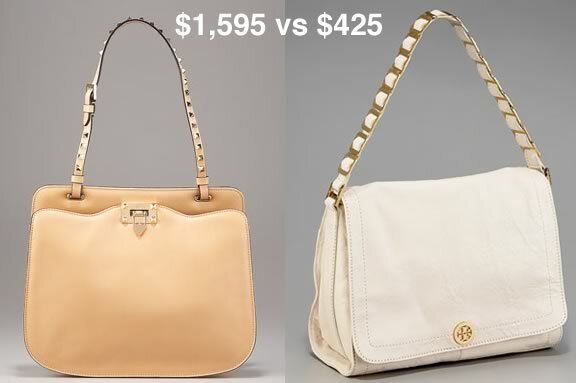 As I scrolled over this Tory Burch Heidi Mini Bag, zooming to take a closer look at the details, I thought, ” Of course Tory Burch is doing pigskin!”. 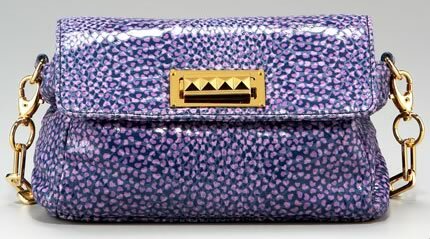 The fact is that Tory’s expanding her brand, and it seems like every week I come across a new item from her line, each chicer and more forward than the past item. 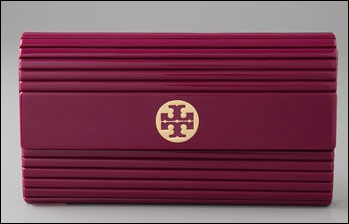 Just when we thought Tory Burch had all but put her famed logo on a shelf and closed the door on it, it comes back. But luckily for us, it’s not in the form of one giant logo placed smack dab in the centre of an equally giant tote. 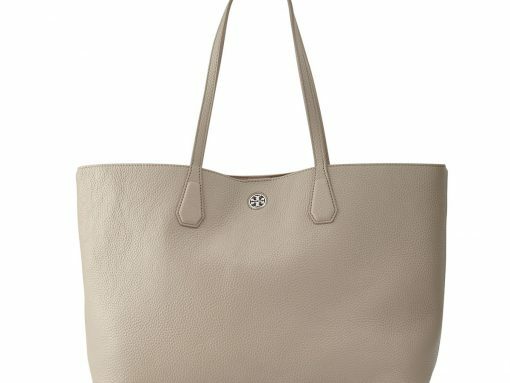 This time, Tory’s gone in the same vein as the Gucci Guccissima collection by embossing an entire tote with her logo.